A cool, refreshing spread for crackers, that's perfect for anytime snacking. Preparation Time: 10 min; Cook Time: 3-4 min. Toast pecans in small skillet over medium-low heat for 3 to 4 minutes; set aside. Combine grapes, cheese and tarragon; mix in honey mustard dressing. Cover and refrigerate for at least one hour. Stir in pecans just before serving. 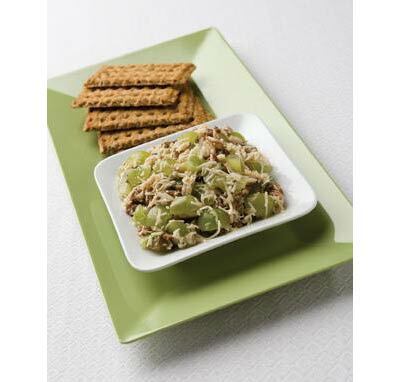 Serve with whole grain crackers.